Good thing we can upgrade to 10 through remote access! C:\Windows\system32>systeminfo | findstr /B /C:"OS Name" /C:"OS Version"
RE: Script to Clean up Windows 10 Start Menu? 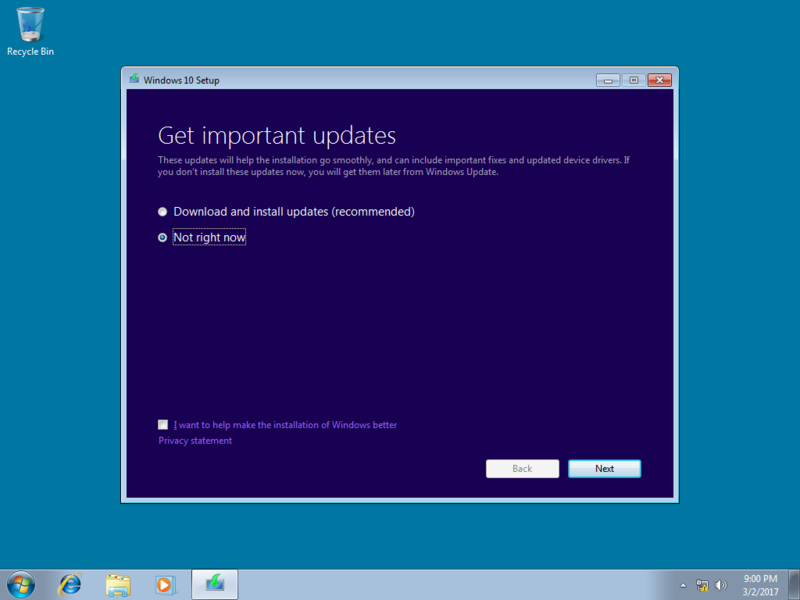 @JasGot Just wanted to add, were were 100% UNsuccessful when choosing to allow the Windows 10 Setup to install updates as part of the upgrade process. We were 100% successful when we chose "Not right now". In keeping with the thoughts about who allows you to use other name servers, we have been using DirectNic as our registrar for many years. Make sure to give them a look. The can register about any name you can think of including Columbia allow you to create your own custom name servers, and allow you to point to any name server you wish. This all means ultimate flexibility for us. RE: Where to read Code? or Best practices to Learn Code?